TET 32" Midseason Dormant. 6" bloom. Uriel meaning "God is my light" is one the the archangels. 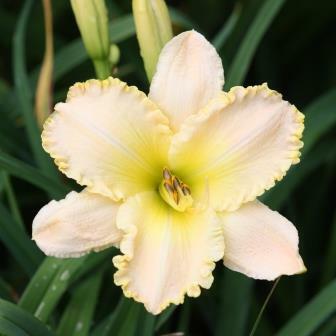 This plant makes a powerful statement in any garden with its near white self color and the golden ruffled edge that surrounds the wings of this beauty. This plant is a true warior in TET dormant breeding.